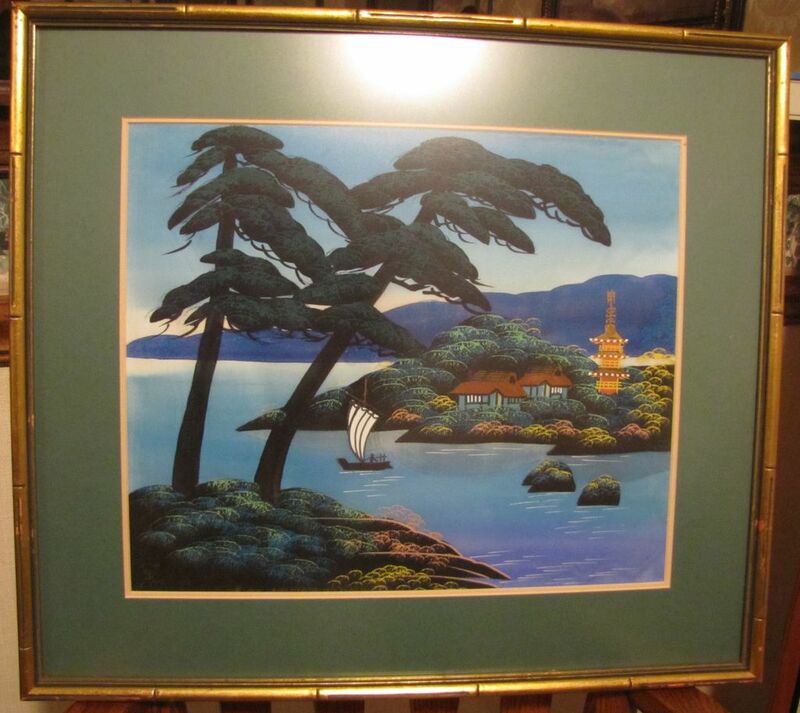 A vintage pair of original Japanese landscape paintings on silk (probably dating from the 1940's to 50's). They are both double matted and framed with complimentary, wood bamboo frames which have been gold gilded. They are protected by low glare glass. 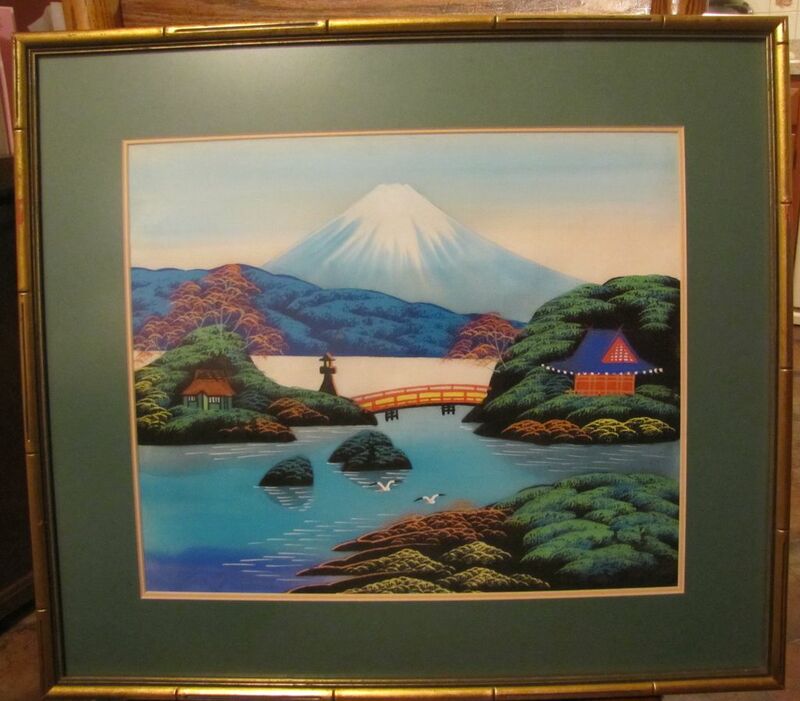 The measurements are 22 1/2'' by 20'' with the actual image size measuring 16'' x 13 1/2''. 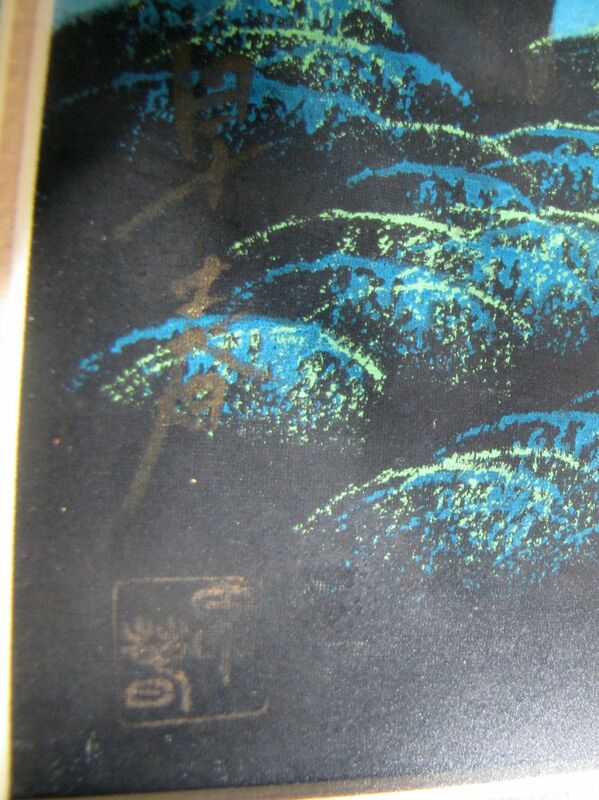 They are signed by the artist, but it was difficult to photograph because the signature is in a gold color. The one signature is in a square with another signature painted vertically. 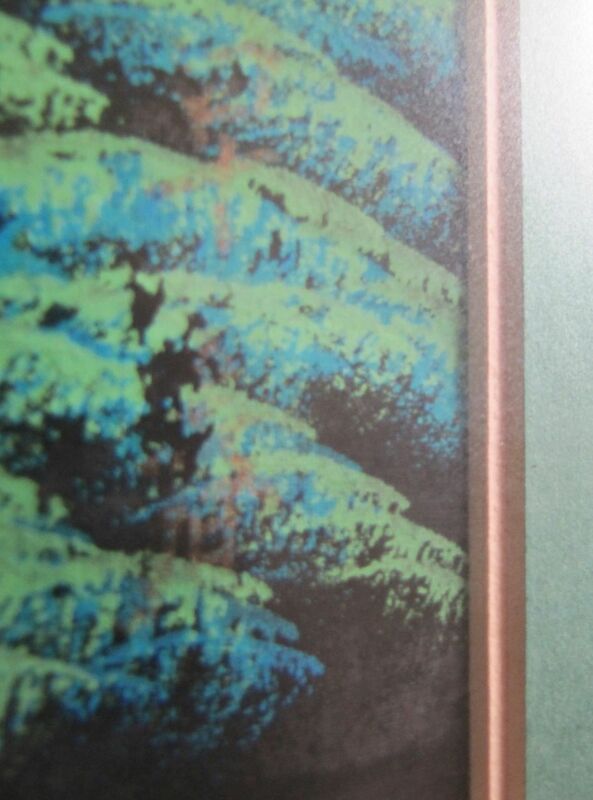 The other signature is painted vertically in gold. I am not sure what type of medium was used, but, I believe it is oil because the the vividness and brightness of the colors.